In our prior article, Loans To Shareholders Must Be Made on Market Terms, we focused primarily on the importance of charging interest on shareholder loans at the “applicable Federal rate” (AFR). The article generated so many interesting questions that we have decided to write a few more articles on the topic. 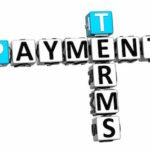 In this article, we concentrate on payment terms, such as a set maturity date and scheduled payments. In the prior article, we stated that loans to shareholders, in addition to bearing interest at the appropriate rate, should be made on standard market terms, “including the obligation to make regular payments and eventually pay off the loan entirely.” Some of you asked how regular is “regular”? We scoured the cases and did not find a definitive answer to that question. That is not so unexpected given that the reported cases in this area almost all arise when the IRS rejects the parties’ characterization of a particular transaction as a loan, and instead treats the transaction as a constructive dividend or other distribution to the shareholder. In a large number of those cases, the parties simply failed to include most of the typical characteristics of a commercial loan, such as a written promissory note, defined collateral securing the full amount of the loan, a fixed maturity date, and a fixed repayment schedule. Since there was no repayment schedule at all, the cases do not affirmatively indicate one way or the other what constitutes a regular payment indicative of a bona fide loan. Some of the cases do set out interesting fact scenarios, however. For example, in Baird v. Commissioner of Internal Revenue, Baird financed his purchase of all of the outstanding shares of a corporation (C-K Distributors, Inc.) by taking loans from C-K to pay off its existing shareholders in eight monthly increments. C-K wrote a check each month to Baird, who deposited the check in his personal account, then wrote separate checks to each of the shareholders whose shares he was purchasing. Each month, Baird signed a note promising to repay C-K within one year of the date of the note the full amount of the loan plus interest at the annual rate of 10%. As it turns out, Baird’s plan to consolidate the operations of C-K with another corporation he owned that operated a similar business did not work out, so it was decided to liquidate C-K by, among other things, canceling the notes delivered by Baird, as well as the accrued interest on the notes. As a result, Baird made no repayments to C-K before it was liquidated. The IRS disagreed with the parties’ treatment of the disbursements from C-K to Baird as loans, treating them instead as dividends to the extent of C-K’s earnings and profit. But the Tax Court found that determination to be in error, holding that the disbursements were in fact loans and not constructive dividends. Perhaps even more interesting is Teymourian v. Commissioner, another case in which the Tax Court uncharacteristically disagreed with the IRS’s decision to recharacterize disbursements to a shareholder as constructive dividends rather than loans. In that case, the corporation (Caspian Consulting Group, Inc., a technology business) had only two shareholders—Teymourian, who owned 60% of Caspian’s stock and served as its president and chief executive officer, and Morrison, who owned the remaining 40% and served as Caspian’s chief technologist, secretary, and treasurer. Caspian disbursed more than $640,000 to Teymourian in 1999 to fund the purchase of a new home, and more than $925,000 in 2000 for undisclosed reasons. Teymourian did not execute a note promising to repay the disbursements, there was no fixed schedule for repayment, and the loans were not secured by any collateral. But in 2000, Teymourian did pay more than $48,000 in interest charges (at a rate of prime plus one), as well as $400,000 of principal. The IRS was not convinced, finding that the disbursements were not loans but constructive dividends, which resulted in a substantial tax liability and penalties to Teymourian for 1999 and 2000. The Tax Court again disagreed, holding that the IRS had erred in recharacterizing the disbursements as constructive dividends. The Tax Court examined seven factors, including that “[t]he lack of a fixed schedule for repayment is indicative of a constructive dividend.” Because Teymourian testified at trial that there was no fixed schedule for repaying the disbursements, that factor weighed in favor of finding a constructive dividend. Even so, the Tax Court noted that “[i]n transactions between shareholders and closely held corporations, formalities are often not followed. A lack of formality does not preclude treatment of disbursements as loans.” Weighing the circumstances presented in the case a whole, “the fact that [Teymourian] paid back a substantial portion of the disbursements indicates that the lack of collateral and the lack of a set repayment schedule did not diminish his intent to repay,” which is the ultimate test of whether a particular transaction should be treated as a loan or a constructive dividend. It is worth examining one final case standing on the other side of the equation from Baird and Teymourian. In Todd v. Commissioner, Todd was the sole shareholder, director, and president of a Texas professional association for his neurosurgery practice. The corporation made annual payments to obtain a death-benefits-only plan through United Employees Benefit Fund (“UEBF”) that provided for a $6 million death benefit for Todd with his wife as the beneficiary. Todd took out a $400,000 loan from UEBF, at which time the value of Todd’s insurance was reduced to a $5.6 million face value. Six months after the check was issued to Todd, he signed a $400,000 promissory note. The note bore interest at an annual rate of 1%, which was below market, and provided for quarterly payments of about $20,500 until the note was paid off. UEBF provided an amortization schedule reflecting that repayment schedule. The note also provided for a “dual repayment mechanism,” which, in practice, allowed UEBF to deduct any remaining balance owed on the note from any death benefits owed to Todd’s wife upon his death. Todd never made any payments on the note, and Todd’s corporation ceased making annual payments to UEBF after it issued the $400,000 check to Todd. The IRS examined the transaction and treated the $400,000 as income to the Todds, resulting in a substantial deficiency. The Tax Court heard the case and agreed with the IRS’s recharacterization of the distribution as income to the Todds rather than a loan. The Tax Court examined the same factors as in Teymourian, including that “[a] fixed schedule for repayment is indicative of a bona fide loan.” The Tax Court noted that the promissory note executed by Todd called for him to make “quarterly installment payments of $20,527 beginning on November 1, 2002 and continuing until the note was fully paid.” In addition, UEBF provided Todd “with an amortization schedule reflecting quarterly payments that should have been paid beginning on November 1, 2002.” But Todd did not make any payments to UEBF in accordance with the schedule, and UEBF never attempted to collect the amount owed after each default. As a result, even though there was a fixed repayment schedule, the Tax Court concluded that this factor indicated that “the parties did not intend to establish a debtor-creditor relationship at the time the funds were advanced,” as required to establish a loan. Even though other factors favored the existence of a debtor-creditor relationship, the Tax Court ultimately agreed with the IRS that the $400,000 disbursement did not constitute a bona fide loan. To sum up, in one case, the would-be loans had a fixed payment date, but no regular payment schedule, instead being subject only to a “hazy” plan for effecting repayment. In the second case, there was not even a promissory note, much less a fixed schedule for repayment. In the third, there was a promissory note calling for regular payments beginning on a specified date, as well as an amortization schedule laying out all of the payment dates. Paradoxically, however, the disbursements were found to be bona fide loans in the first two cases, but not in the third. That is because, taking into account all of the circumstances presented, the transactions in the first two cases looked and smelled like loans, while the opposite was true in the third case. In short, including terms for regular payments, as well as a fixed maturity date, is no guarantee that the IRS will agree with the parties’ characterization of a disbursement to a shareholder as a loan. But courts are not immune to the old adage that “[i]f it looks like a duck, walks like a duck and talks like a duck, it is a duck.” In the context of shareholder loans, courts, and the IRS, expect that “a reasonable business person would . . . establish a schedule to assure repayment,” among other things. While the cases do not say exactly what is required of a reasonable “schedule to assure repayment,” loans generally require payments to be made on a monthly basis in the real world. Therefore, if the desired result is to avoid unnecessary IRS entanglement, it makes sense to have corporate loans to shareholders call for repayments to be made on the same schedule as arm’s-length commercial loans, that is, monthly, or at least no less than quarterly. The issue arises in a number of other contexts as well, such as whether a party should be permitted a deduction for a so-called loan that became worthless within the taxable year. See, e.g., Hultquist v. Comm’r, 101 T.C.M. (CCH) 1054, 2011 WL 240312 (T.C. 2011). Whatever the context, the IRS and the courts review similar factors in determining whether the parties’ characterization of the transaction as a loan should be respected. See, e.g., Frierdich v. Comm’r, 57 T.C.M. (CCH) 1132, 1989 WL 83958 (T.C. 1989) (transaction was evidenced by a promissory note, but there was no fixed repayment date and no amortization schedules or plans to repay principal or interest were ever made), aff’d, 925 F.2d 180 (7th Cir. 1991). “The determination whether the parties to the transaction actually intended a loan or a dividend presents an issue of fact.” Crowley v. Comm’r, 962 F.2d 1077, 1080 (1st Cir. 1992). That is another reason it is difficult to draw general conclusions concerning what constitutes regular payment terms indicative of a loan rather than a dividend or something else—each case is decided on its own facts, taking into account all of the various factors examined in making that determination. As demonstrated by the cases discussed in this article, the absence of one factor, such as a fixed repayment schedule, is not controlling if other factors tend to show that the parties actually intended a loan at the time the advance was made. See id. at 1079, 1083. Baird v. Comm’r, 43 T.C.M. (CCH) 1173, 1982 WL 10545 (1982). Teymourian v. Comm’r, T.C.M. (RIA) 2005-232, 2005 WL 2464602 (T.C. 2005). 2005 WL 2464602, at *5. Id. at *4 (“Whether a corporation’s disbursements to an employee-shareholder are loans or constructive dividends depends on whether, at the time of the disbursements, the employee-shareholder intended to repay the amounts received and the corporation intended to require payment.”). Todd v. Comm’r, 101 T.C.M. (CCH) 1603, 2011 WL 2183767 (T.C. 2011), aff’d, 486 F. App’x 423 (5th Cir. 2012). 2011 WL 2183767, at *5. Todd v. Comm’r, 486 F. App’x 423 (5th Cir. 2012). Id. at 427 (quoting Tomlinson v. 1661 Corp., 377 F.2d 291, 295 (5th Cir. 1967)). Coffer v. Am. Income Life Ins. Co., 168 Mich. App. 144, 149, 423 N.W.2d 587, 590 (1988). J&W Fence Supply Co. v. United States, No. IP 97-128-C Y/S, 1999 WL 221863, at *9 (S.D. Ind. Mar. 11, 1999), aff’d, 230 F.3d 896 (7th Cir. 2000).